At the gate of the wastewater plant in May of 2016. 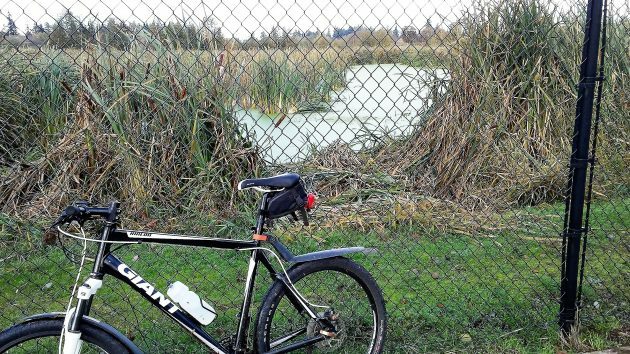 Albany is asserting damage claims totaling some $84 million in the lawsuit it has filed over problems at the city’s wastewater treatment plant and the nearby constructed wetlands, the Talking Water Gardens. Kerry Shepherd, the city’s attorney in the case, sent me and others a copy of the complaint once it was filed in Linn County Circuit Court. The respondent in the civil case is CH2M Hill, the engineering company that designed the city’s expanded treatment plant, completed in 2009, and the Water Gardens, dedicated in 2012. The essence of the city’s complaint is that the engineers recommended a waste-handling system that hasn’t worked and caused the city great expense to haul away “biosolids.” It also faults the engineers for the way they designed the wetlands, which leak and have not cooled the wastewater as much as intended. The damages alleged by the city in connection with the treatment plant go like this: $13 million to haul away biosolids sludge over 20 years; $4.3 million that the city paid for the “Cannibal” solid-waste handling system; $4 million for additional engineering to find a remedy; $26.7 million to replace Cannibal with another treatment system; and $3.2 million to replace dewatering equipment. Cannibal was supposed to reduce the volume and strength of the biosolids in sewage so the residue could be safely applied to farm fields. Instead, the resulting sludge at the Albany plant is unfit for applying to fields and has had to be trucked to the landfill at Coffin Butte. At the Water Gardens, the city claims $4 million for additional engineering and consulting; $22 million to line the ponds holding treated wastewater so they don’t leak; and $7 million to acquire more land to expand the wetlands. Adding all the claims to arrive at a sum, as I have done in the first paragraph, doesn’t necessarily make sense, though. For example, if Cannibal is replaced with a treatment solution that works, sludge will not have to be hauled to landfills for 20 years. The Talking Water Gardens as seen from the Cox Creek bike path in October 2016. Boy everybody wishes that their crap would vaporize and be gone, sludge has been a reality of all treatment systems so how exactly was this one supposed to dispose of everything and be different. A quote without attribution? Sad. Was the City of Albany the first to purchase the “Cannibal” operating system? If so, the City appears to have been played by the Cannibal’s creators. If not, the City appears to have ignored due diligence. Not sure which alternative is preferable. According to Siemens in 2007, Cannibal was first introduced in 2003 and several plants were sold with many more underway across the United States. According to Hasso, Albany installed the process in 2009. So, no, Albany was certainly not the first. From articles I’ve read by Hasso and the Democrat-Herald over the years, it seems apparent that the City’s solution to their water/wastewater problems is to sue the companies they’ve hired. City staff does not take ownership for decisions they have made and do not perform their due diligence. City Council seems to abide in these staff decisions without much question. I believe part of the problem is that some key Albany staff (both former and current) involved in long-term and costly decision-making for water/wastewater solutions, simply don’t have the expertise or experience to make these decisions. Albany residents as well as those sued will pay for those mistakes. I would love to see the credentials of all City staff members involved in water/wastewater decisions that will affect Albany residents for decades to come. Do they have the necessary background (education and experience) in the field? This is not to say that the companies hired have no fault, they do, but I think City Council needs to come to the realization that current City staff are unable to solve the wastewater problem that’s been ongoing since 2009. 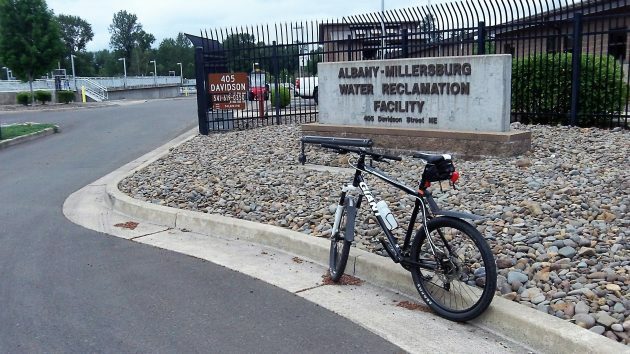 There were significant and costly problems when the Albany-Millersburg water treatment plant opened (a CH2M-led project) and the City goes right back to the same company for upgrading the wastewater plant and creating the Talking Water Gardens. How many times and millions of dollars spent does it take to conclude that perhaps other companies should be hired? There are other choices. I’m not aware of nearby Willamette Valley cities comparable to Albany’s size that have had such hardship in making their water/wastewater plants function and efficiently operate. Albany is a clear exception to this model and unfortunately, their legacy of failure continues. Ms. J, I think these are legitimate questions and I’m sure City Council will be asking many more. I would say wait until the court documents are made public and this will give you a clear understanding as to where this ends up. I wouldn’t start laying blame on anyone until you have all the facts, the lawyers on both sides will not be pulling any punches. It’s all going to in black and white on paper. Hold on…didn’t you write back in 2012 that the city successfully sued Siemens for $4.75M for Cannibal? Now, according to your current report, the city is suing CH2M $4.3M for what appears to be the same thing? Please clarify…. John Jay — Yes, a valid point. I’m mainly concerned that with the lawsuit just announced it will probably add another 2+ years to the existing 8 years of futility that have already passed. It’s frustrating to think that it will take over 10 years to solve this problem when many other Oregon cities have successfully upgraded their plants with relatively little major drama or lawsuits (at least I’m not aware of any). Gordon — I think Albany is suing CH2M separately for being the main contractor that recommended and tried to implement the Cannibal system as invented by Siemens. City staff didn’t weigh their options wisely enough as the old treatment plant technology (anaerobic) worked just fine prior to the upgrade. Sometimes older, proven technology is the best and when new technology comes along, it’s not always a good idea to jump on that band wagon, especially for a City of Albany’s size.